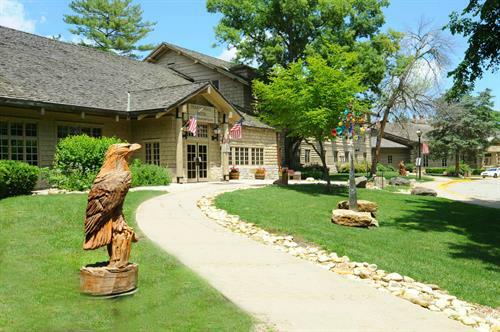 Starved Rock Lodge & Conference Center is the only hotel located in the middle of Starved Rock State Park (Utica, Illinois). 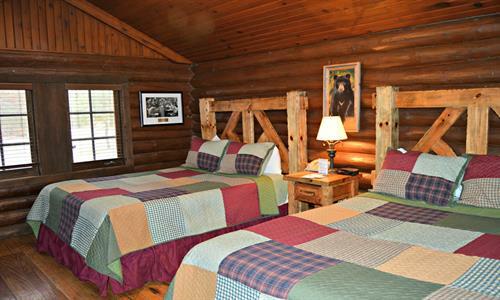 Stay in a rustic hotel room in the Lodge or one of our log cabins in the woods. We have a variety of rooms to choose from. Ask about our pet-friendly cabins, two-room cabins or cabins with a fireplace! Relax and unwind in our indoor pool, hot tub and sauna or stop by The Back Door Lounge to fuel up before a hike. We offer year 'round trolley tours and guided hikes to see our beautiful canyons and seasonal waterfalls. Dine in our own restaurant, the Main Dining Room, which serves breakfast, lunch and dinner daily. Be sure to try our Sunday Brunch, too! Need to plan a conference or meeting? We were voted the best Lodge in the Midwest for a meeting! 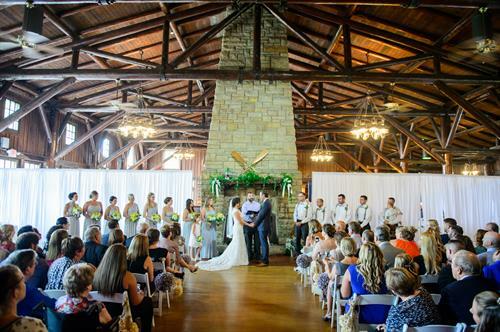 We are also a dream wedding destination, especially for our outdoor venue! You won't find a view like this anywhere else.